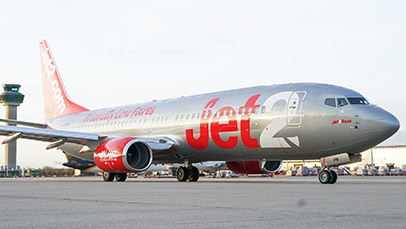 Jet2.com operates from both Terminal 1 and Terminal 2 at Manchester Airport. Find more information here about which terminal your flight will depart from. From 1 February 2019, Jet2.com flights to and from Alicante, Almeria, Antalya, Barcelona, Bodrum, Izmir, Krakow, Malta, Menorca, Naples, Nice, Pisa, Pula and Verona will now operate from Terminal 2. Flights to and from Lanzarote, Malaga, Majorca and Tenerife will continue to operate from Terminal 2. All other Jet2.com flights will continue to operate from Terminal 1. 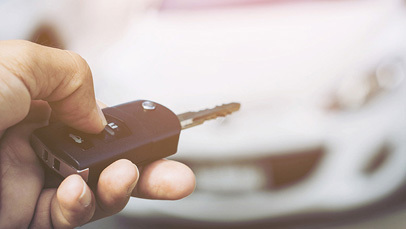 If you've booked car parking in one of our JetParks car parks, there's no need to change your booking. You should continue as normal to the car park, but board the bus for Terminal 2. If you've booked Meet and Greet car parking at Terminal 1, your booking will be automatically moved to Terminal 2. There is no need to contact us, and you'll receive a new confirmation for your parking booking 4 weeks before your flight. During January and Feburary 2019, some flights to Alicante, Krakow, Barcelona and Antalya may depart from Terminal 1 but return to Terminal 2. If this applies to your flight, you should park at Meet & Greet at Terminal 1. When you drop your car off, please tell the Meet & Greet staff and give them your returning Jet2.com flight number. Your car will be ready for collection from Terminal 2 Meet & Greet when you arrive back from your trip. There's no need to contact us. If you've booked Long Stay, Mid Stay, Short Stay or Multi-Storey car parking, you'll be offered a complimentary upgrade to Meet & Greet at Terminal 2. There's no need to contact us to amend your booking. If your flight has been switched to Terminal 2, your lounge booking will also be moved from Terminal 1 to Terminal 2, subject to availability. If you have booked the 1903 lounge, you'll be given the option to move to the Escape Lounge. If there is no availability, you'll be offered a full refund, including the admin fee. If you have booked the Aspire lounge, please contact them to amend your booking on 0161 694 7220. Q1: What happens if I’ve booked FastTrack? Your FastTrack booking will still be valid at Terminal 2, as long as the date of your booking is still correct. You will need to present your Jet2.com boarding card when you arrive at the FastTrack entry. Q: What is happening with my flight? I have a question regarding it. If you have any questions about your flight, please contact Jet2.com on 0333 300 0042. Q: What happens if I’ve booked PRM or Special Assistance? If you have booked special assistance for your flight, please head to the special assistance reception point at your departure terminal. The OCS staff will have your details and will be on hand to assist you through the terminal. Jet2.com check-in will be located at the right-hand side of Terminal 2 for their flights. Q: Will there be staff on the ground to help? Yes. Both the airport and Jet2.com will have staff on the ground to assist passengers during the changeover. There will also be clear signage at the station, car parks, drop-off areas and terminal entrances, so please look out for these too. Q: Is this move just for peak periods or will Jet2.com continue using Terminal 2 during Winter? This will apply all year-round.